BigBio Communications is expanding and rebranding its biotech news aggregator service, Big3Bio, to Big4Bio: Philly! Big4Bio:Philly will debut June 3-6, 2019 during the BIO International Convention in Philadelphia, PA. 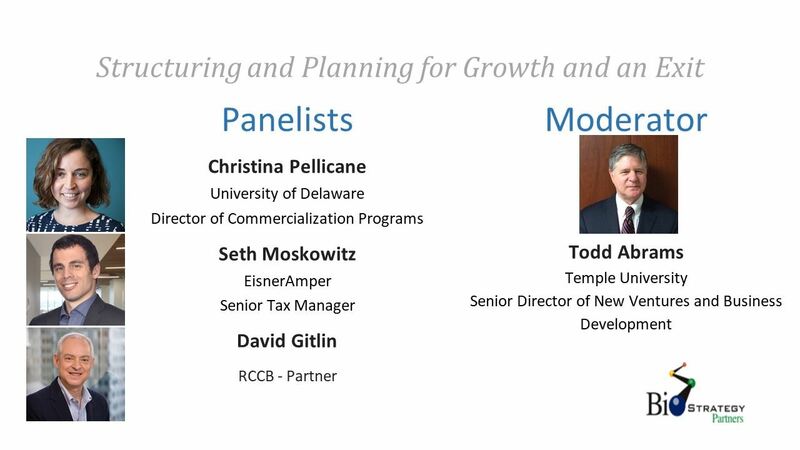 If you missed this panel held at Temple University, you can listen to our panelists discuss leveraging your technology transfer office, designing experiments that matter most to investors, and best practices in documentation and data integrity. If you missed this panel held at Temple University, you can listen to our panelists discuss data integrity, technology due diligence, and roles and responsibilities of various individuals. If you want to stay informed about BioStrategy Parterns, subscribe here.